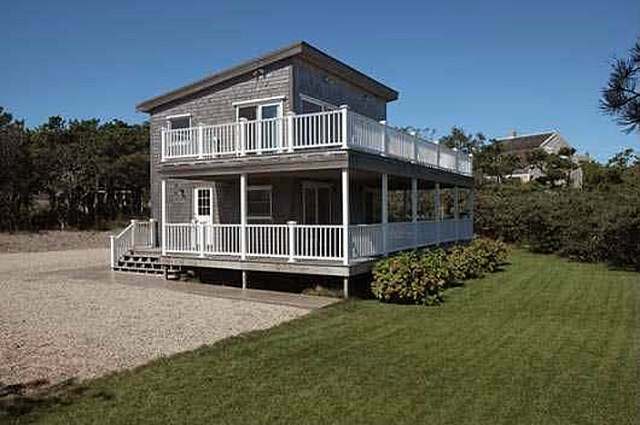 Located inside the Cape Cod National Seashore, they are simply not making beach houses like this anymore. 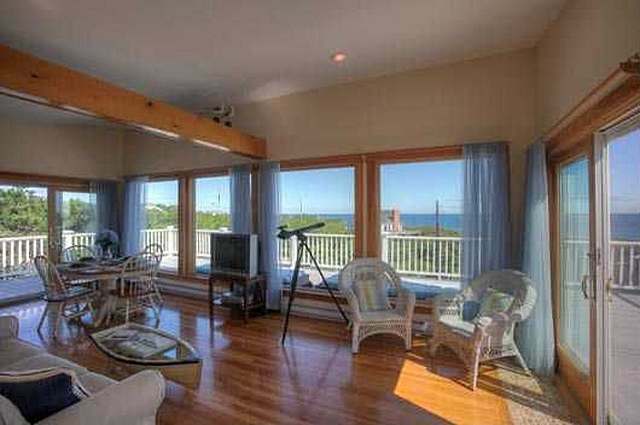 Boasting two, ocean-facing, trex, wraparound decks, Solymar offers one of the most breathtaking, panoramic views of the North Atlantic. 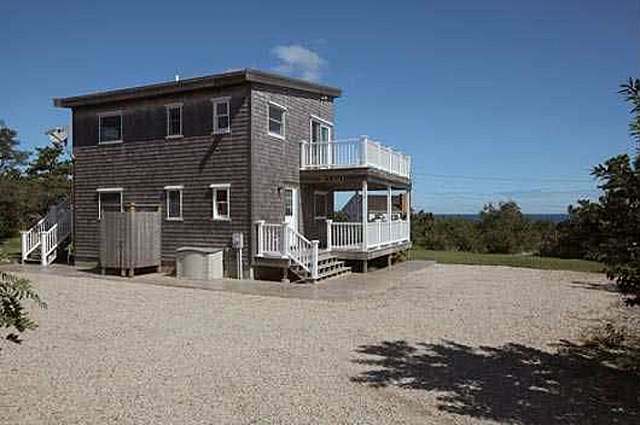 The cottage has two floors and is described as an "upside down house," the top floor having the kitchen, the dining area and the living room. 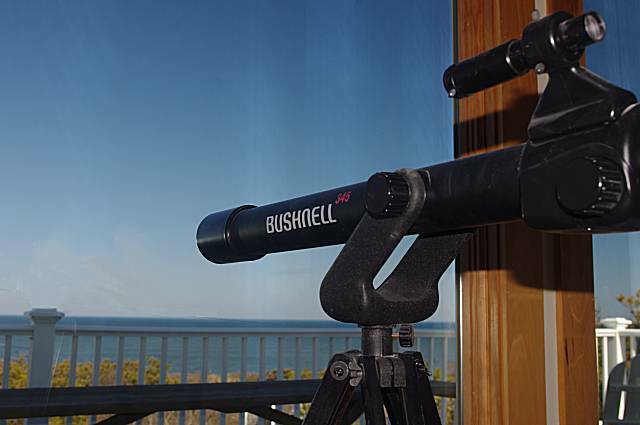 It offers the best ocean view. 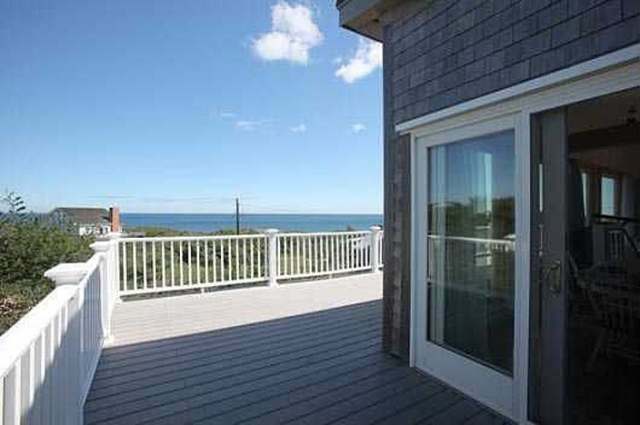 Open the doors and let the breeze blow through while you step out to your private deck to enjoy watching the sun rise out of the ocean. If it gets too warm for you, turn on the air conditioning. It doesn't get any better than this. 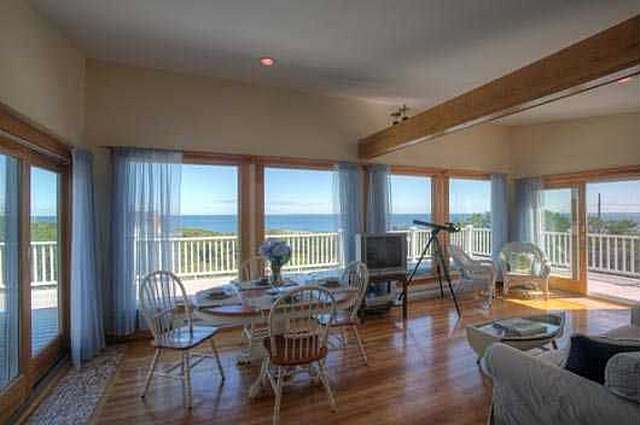 A flat panel, Cable TV as well as Internet access are also provided. 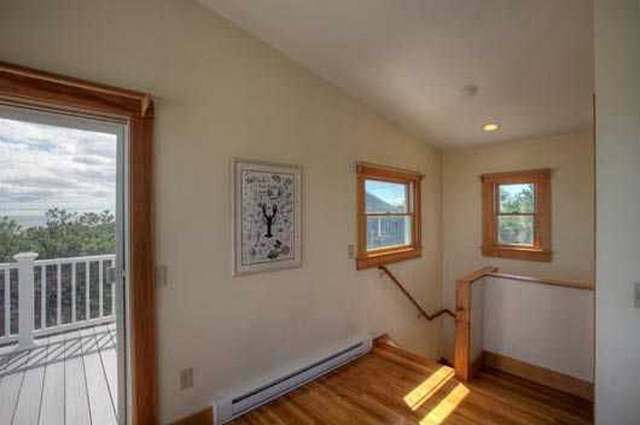 This is a three bedroom, 2 bath cottage located on a quiet, dead-end street. It has a brand new air conditioning system servicing the upstairs living room. 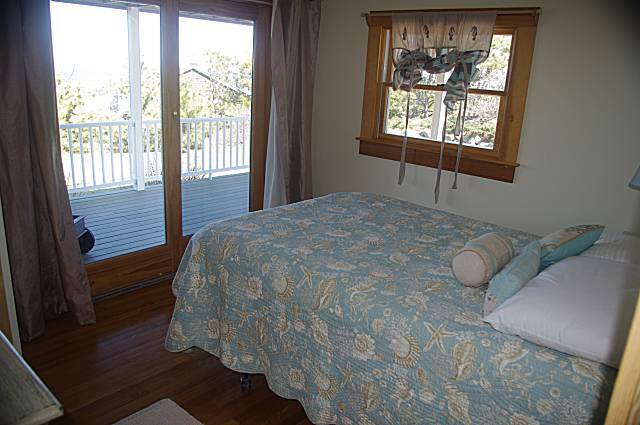 The bedrooms are on the lower level and they have fans that keep them comfortable. 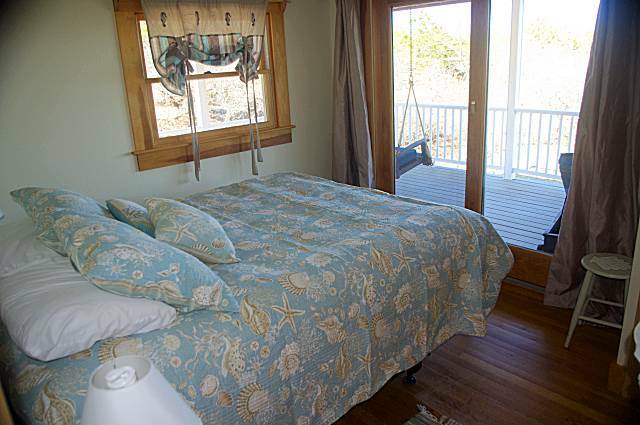 The first bedroom has one queen-size bed. 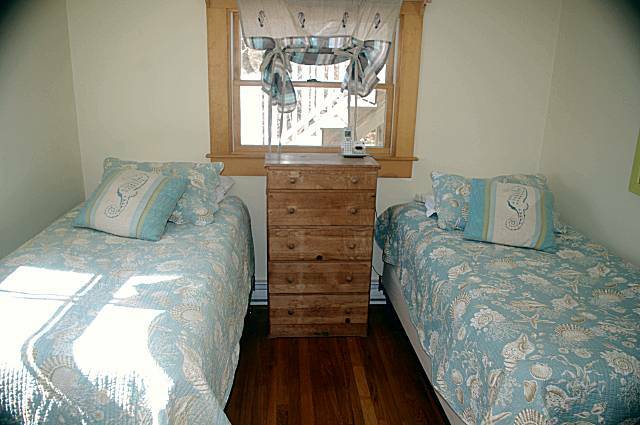 The second bedroom has two twin beds and the third bedroom has one double bed. 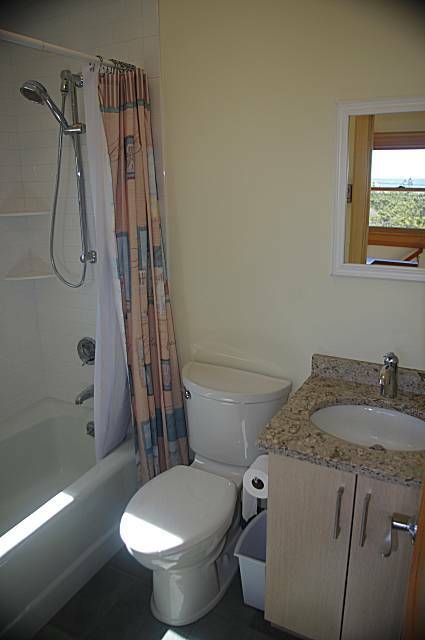 There are two full bathrooms, one on each first floor, that were totally renovated in 2014. 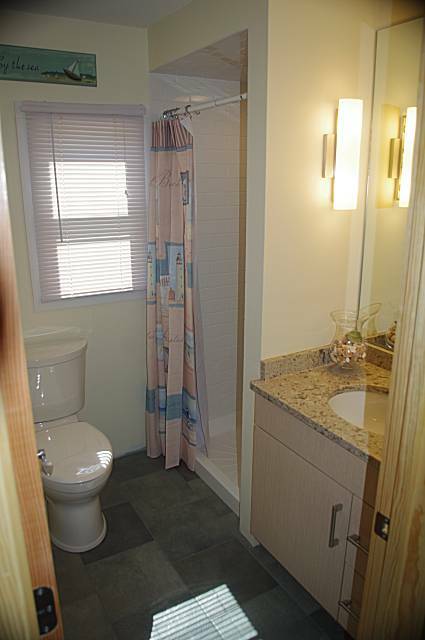 There is also an enclosed outdoor shower with hot and cold water. 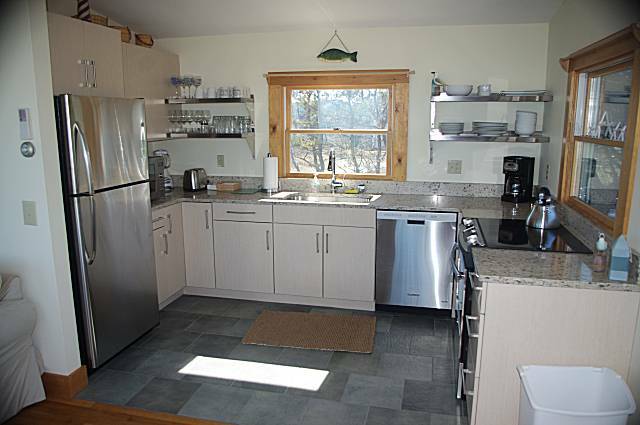 The kitchen was totally remodeled and now has all stainless appliances and granite counter tops with a 4 burner electric stove with oven and broiler, full size refrigerator, dishwasher, microwave oven, toaster, coffee maker, blender, pots and pans and dishes. The living room floor has been newly refinished. Outdoors, there is a gas Weber BBQ grill. There is also off street parking at the cottage. 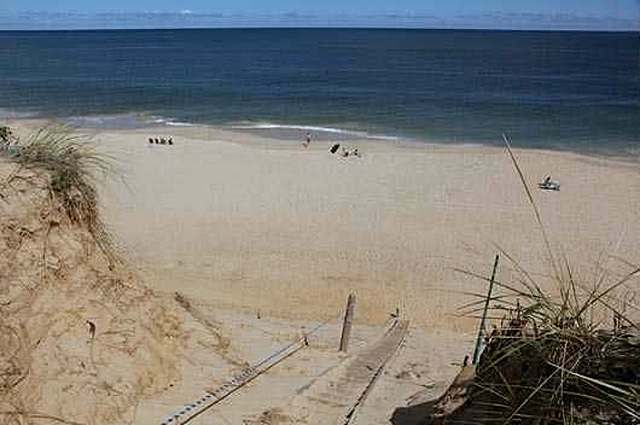 Solymar is about 200 steps from the top of the dune that leads down to the ocean beach at LeCount Hollow in the Cape Cod National Seashore. 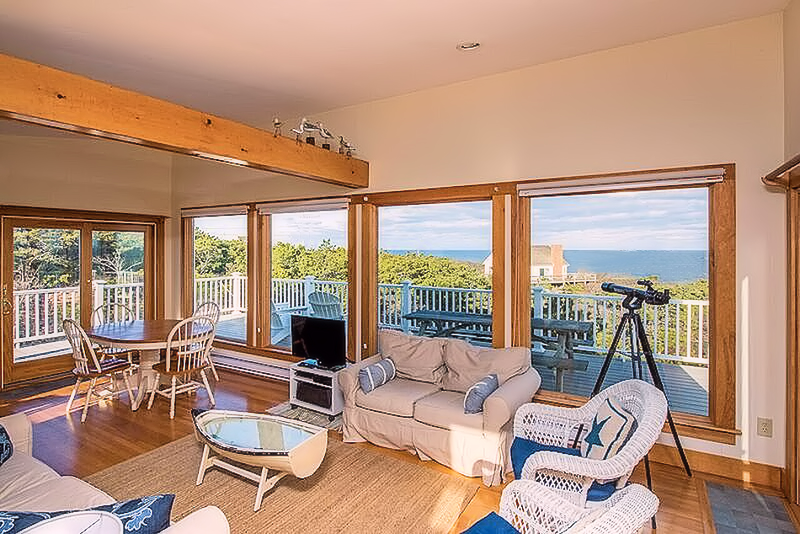 This beach house rents from Sunday to Sunday in season with a weekly price that ranges from $1,500 to $7,600.00 depending on the season (see below). To begin the reservation process, click on the "Reservation Request" button located at the top of the page and just after the photos below, and complete the form at the bottom of the next page that appears. We will then contact you details of your reservation request. You will then need to reply to us again before we can hold the cottage for you. A fantastic week relaxing at Sol Y mar does not get any better…all the amenities, the beautiful sound of the surf, waking up to the sunrise each morning, and appreciating the artistic flair the place offers is what would make anyone return year after year. One feels ten years younger after the quiet animist restful atmosphere in the world. 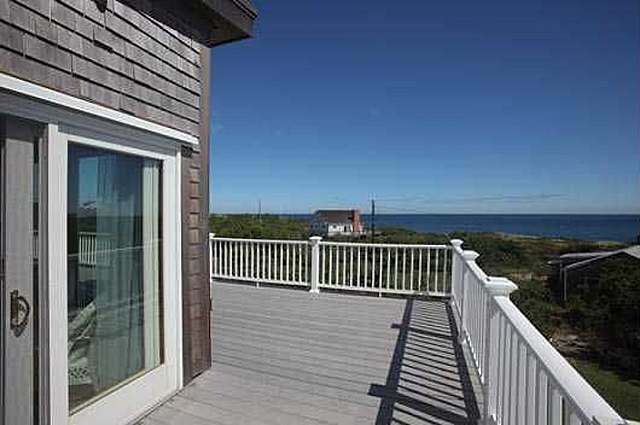 Rating is 5 star with top of the line amenities and the most comforting environment for a truly vacation able vacation. 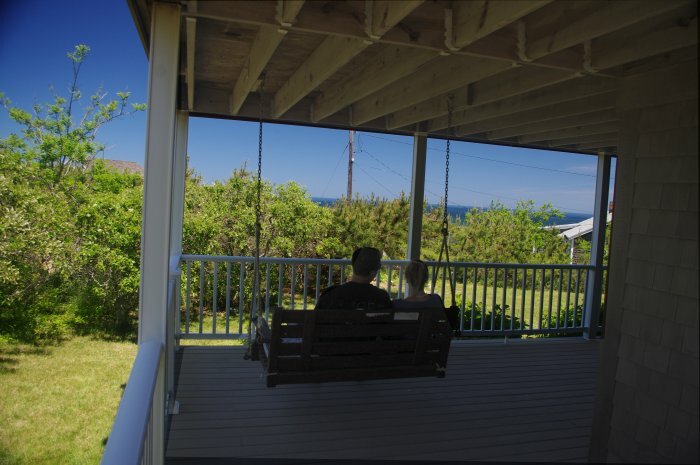 We stayed in the beautiful Solymar cottage with our sister and brother in law and our dog. The house was clean and well appointed including laundry in the basement. 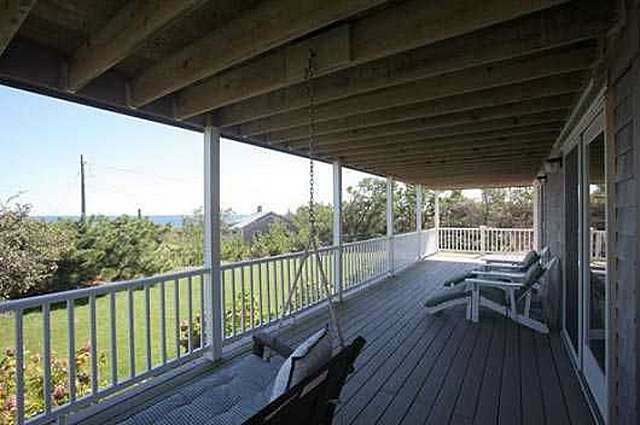 Two decks afford sun and shade- and a big view of the ocean. We watched the sun and moon rise, saw meteors and cooked every meal. The kitchen has everything we needed. I was truly sad to leave. 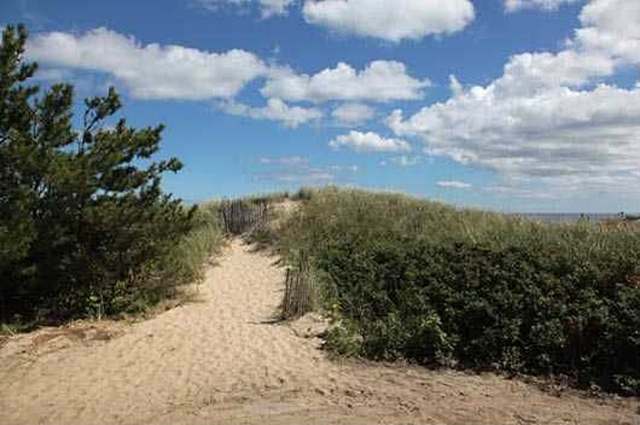 Beach is close, too. Armand is very nice all the time which really makes a big difference to me. Thank you, Armand!